We are grateful that you are a part of our community. Show yourself some gratitude this season! 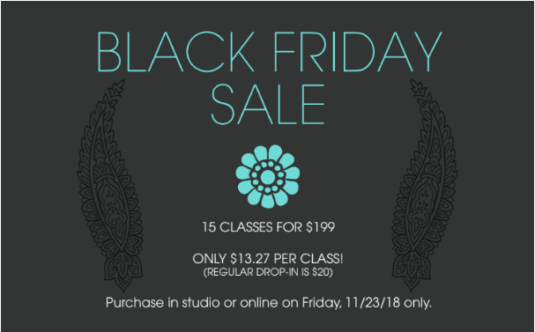 Take advantage of this special class card offer in studio or online on Friday, 11/23/18 only and join us for 15 classes for $199.